Help at Home is customized to target the needs of each individual we serve. The Hub supports while maintaining a person’s dignity, respect and independence. Homecare includes helping individuals with things such as cooking, shopping, essential cleaning, and essential laundry. Personal Care includes assisting with bathing, grooming, feeding, ambulating, exercising, oral hygiene, and skincare. We believe that individualizing care for each client is the key to the Help at Home program’s success! Eligibility is determined after the Access Care Coordinator makes a home visit to assess the individual’s needs. The individual, the care coordinator, and in some cases, significant others, work together to design a plan of care. The plan, which includes services and cost sharing, is initiated and monitored by the Access Care Coordinator. Help at Home is a licensed Home Health Agency and is eligible to receive payment from the Medicaid Community Choices Waiver, the Veteran’s Administration, Private Pay, and Long-Term Care Insurance. Thanks to all of our wonderful donors, Help at Home is able to help keep individuals living in the comfort of their own home for as long as possible! Click here to read just how much one of our clients appreciates our Help at Home team. 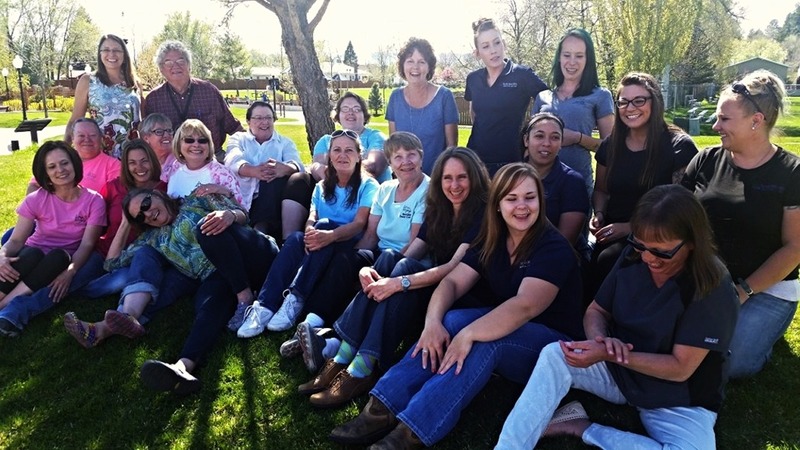 An Access Care Coordinator certified by the Wyoming Department of Health – Aging Division determines eligibility, facilitates and manages Help at Home. Personal care is supervised by a Registered Nurse and provided by Certified Nursing Assistants who are Wyoming State Board of Nursing Certified Home Health Aides (HHA’s). Our HHA’s and homemakers have extensive training on home health issues from a wide variety of sources. All staff are background checked before entering any client’s home, which ensures the safety of each individual served! Partnerships with local businesses have allowed The Hub’s Help at Home Aides to travel to each client’s home. Fremont Toyota of Sheridan generously donated the use of a RAV4 to the program, while Let ‘Er Buck Car Wash ensures that we have sparkling clean vehicles. We are available to serve you Monday through Friday from 7:00 am to 4:00 pm, excluding major holidays. If you believe Help At Home services would increase your quality of life or the well being of someone you know, please contact Lois Bell at 307-675-1978 for more information.